Another game from the legendary Earth series, the action of the game is a continuation of events that happened in earlier games, and takes place after the complete destroy of our planet. This time, you fight for all planets of the Solar System! Choose between four sides of the conflict: the well-known ED, LC & UCS, and the new race in the series - Aliens. Four sides, four different styles of achieving victory - from weapons, through buildings, finishing on fight strategies. This won't make you bored. The game is based on Earth-4 engine, and uses T&L rendering, pixel shaders and realistic lighting. The Earth 2160 patch updates all language editions to version 1.3.8. German version of the patch. Spanish version of the patch. Is it any good? I don't care if it's worse than its predecessor. If someone can gift me Earth 2160 on Steam. It's unavailable in my region. 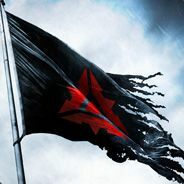 Hi, do you still have it on your steam? is it ok for you to gift it for me? Cant wait for Earth 2170, the Earth series is great. Sadly no, there isn't. They're not a japanese company and they're not supported by a major publisher of US or japanese birth. They would never get the resources to work on it... even with kickstarter. RTS is technically DEAD overall, practically no one plays them anymore. Especially in the all important US market. That's the sad reality. Most people are into FPS or the next CoD not the Empire Earth 4s or the other greats. As if there's gonna be an Earth 2170. Looks beautiful, can outclass StarCraft 2 any day! Hope they make an Earth 2170!